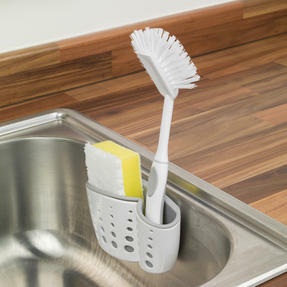 Keep your kitchen sink organised and tidy with this superb Beldray basket designed to give your washing up sponges and brushes a home. 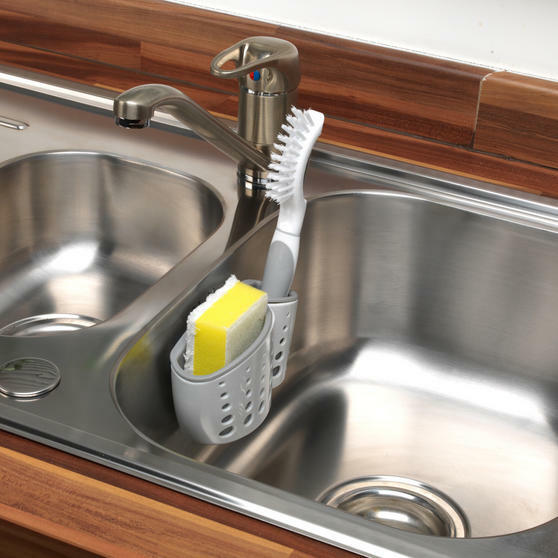 With two suction cups you can effortlessly attach it to a wall or the side of your sink, so you can access your washing up tools easily. Measuring 15l x 8w x 7h cm, the basket takes up little space but makes the sink appear neat and tidy. 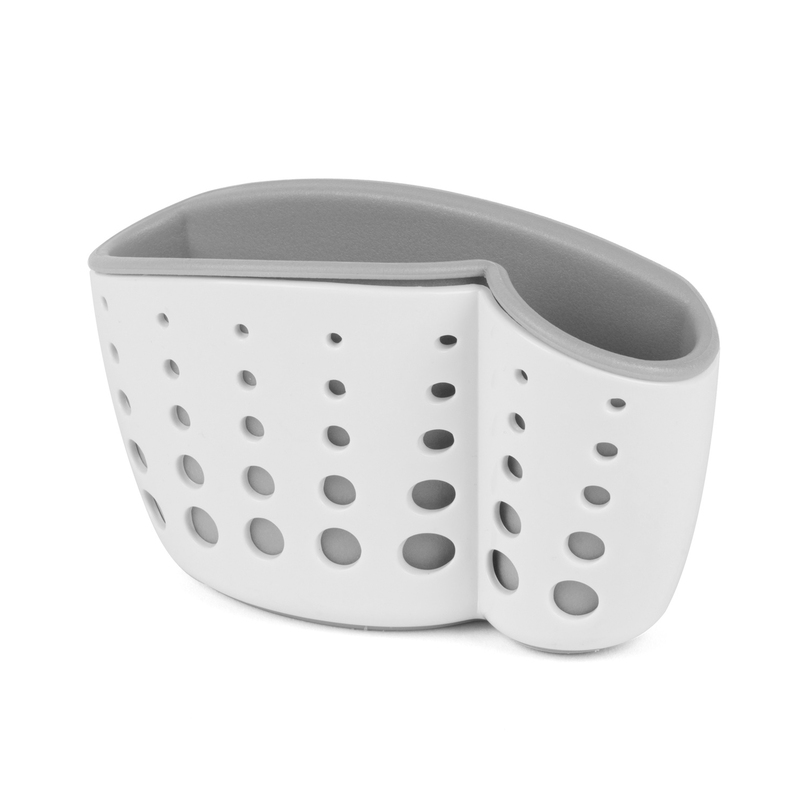 The stylish design with white and grey colours looks fantastic and is sure to fit in perfectly in your kitchen. 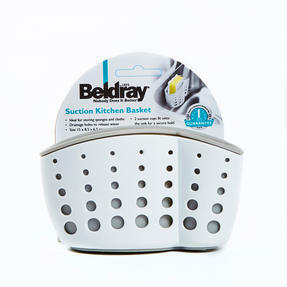 With fantastic secure wall suction pads, this Beldray kitchen basket is ideal for storing your washing up utensils. The basket ensures that everything has a place including sponges and brushes so your sink will look wonderfully clean and tidy. The suction cups are simple to use and will attach to either a wall or the sink, so you can access your washing tools effortlessly. 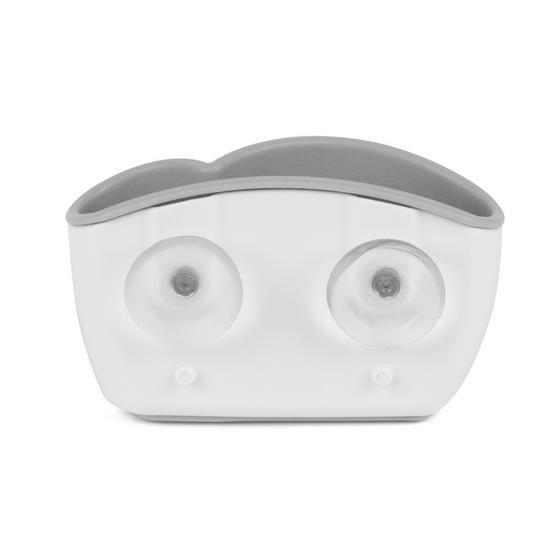 Measuring 15l x 8w x 7h cm, the compartment can also be used to hold cutlery, with the strong suction pads it will stay secure. The white and grey design blends in brilliantly in any kitchen, so you can leave your surfaces and sink perfect after washing up.